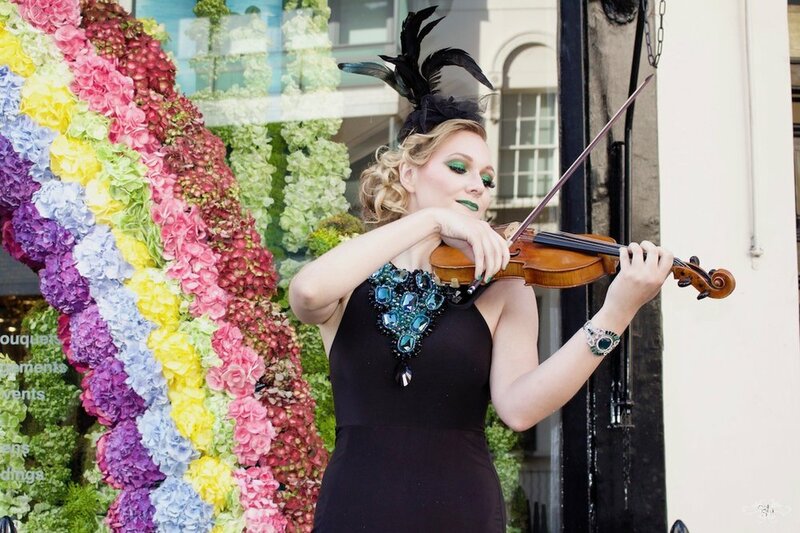 Belgravia was in full bloom during the RHS Chelsea Flower Show this year, with over 55 retailers decorating their store fronts with floral designs inspired by the theme "Children's Books" for the Grosvenor's Belgravia In Bloom. Having been awarded the overall "Best Floral Display" for his "The Wonderful Wizard of Oz" themed design along with two "Highly Commended" awards and a Gold for Chelsea in Bloom, Neill tells us about his fabulous week. 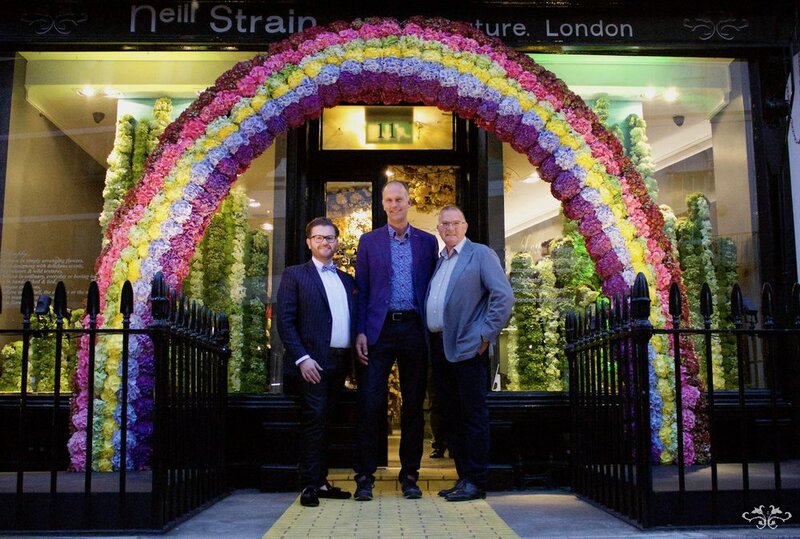 Neill Strain Floral Couture won overall "Best Floral Display" for its "Wonderful Wizard of Oz" themed design for Belgravia In Bloom. 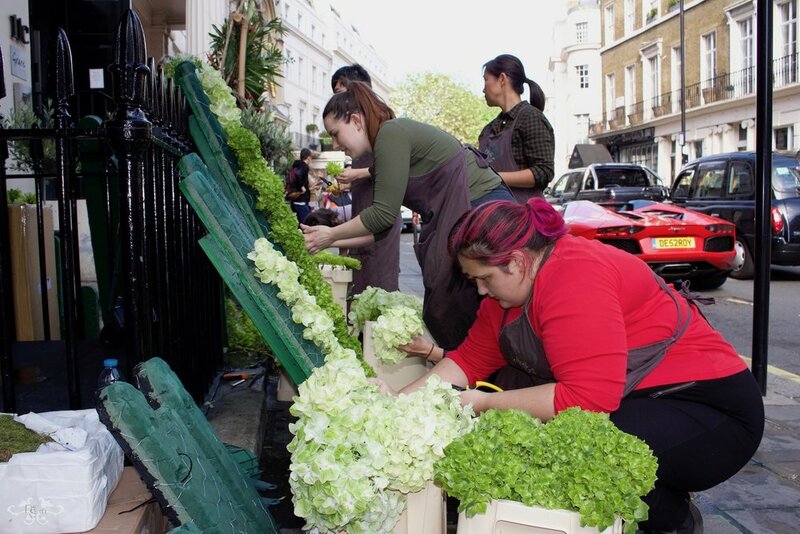 Belgravia in Bloom was a huge success this year, not just for us at the Belgravia boutique, but for all the Belgravia retailers and residents who were able to enjoy more than 55 floral displays on their doorsteps without even going to the RHS Chelsea Flower Show. Although you may have seen many images of our work on social media, I would like to dedicate this blog post to the designs we created during the show week. Given that our annual flower showcase this year was focused on Hydrangeas, I had to design a display that would not only portray a Children's Book for Belgravia In Bloom but also show off the beauty of our magnificent Hydrangeas. Frank L. Baum's story of "The Wonderful Wizard of Oz," first published in Chicago on May 17th, 1900 and the iconic film made in 1939, inspired me to create a rainbow of Hydrangeas, showcasing the diversity of colours of these amazing flowers, along with an "Emerald City," using different green tints and tones of Hydrangeas, Dianthus, Chrysanthemums and moss. All the designs were created with fresh flowers arranged in floral foam. There were over 400 Sonneveld Hydrangeas in the rainbow alone! All the colours are natural with the exception of the yellow - Hydrangeas come in almost all colours, including black, a new variety that will soon appear in the market, but not yellow or orange. Hence, we conditioned white Hydrangeas in a dye to make them yellow. My fabulous team of florists were joined by the students and their tutor, Jeff Smith, from Sydney TAFE to help with the installations. But we cannot be "off to see the Wizard, The Wonderful Wizard of Oz" without a yellow brick road. 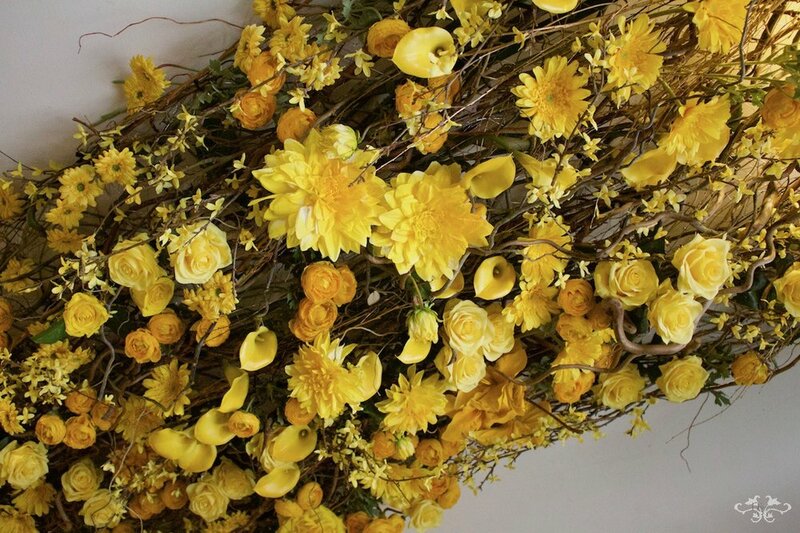 Making a yellow brick road through the boutique appeared difficult and impracticable and then, in a lightbulb moment, I had the idea to create a floral yellow brick road on the ceiling. To launch Belgravia in Bloom we hosted a party at the boutique with the help of my friend and exceptional party planner, Rula Komodromos. No detail was overlooked... The Good Witch of the North was portrayed by a ballerina who danced for us during the event; the Wicked Witch of the West performed "Somewhere Over the Rainbow" and other themes on the violin for guests; waiters were dressed with sparkling ruby bow ties and served themed cocktails, "Emerald City," "Dorothy's Ruby Slippers" and pink Champagne named "The Good Witch of the North." Amongst our guests were Hydrangea grower, Henk Sonneveld, the Hydrangea breeder, Peter Kolster and his wife and Loek Van Eeden, our flower expert from Holland. Of course, that our "Wonderful Wizard of Oz" design was awarded the overall "Best Floral Display" in the Belgravia In Bloom competition was a tremendous thrill for which I am most grateful both to the judges and to my amazing team. In addition to this design, we also decorated the store fronts of our neighbours, Grace Belgravia, Mosimann's and Errol Douglas on Motcomb Street, for which the latter two designs were awarded "Highly Commended." 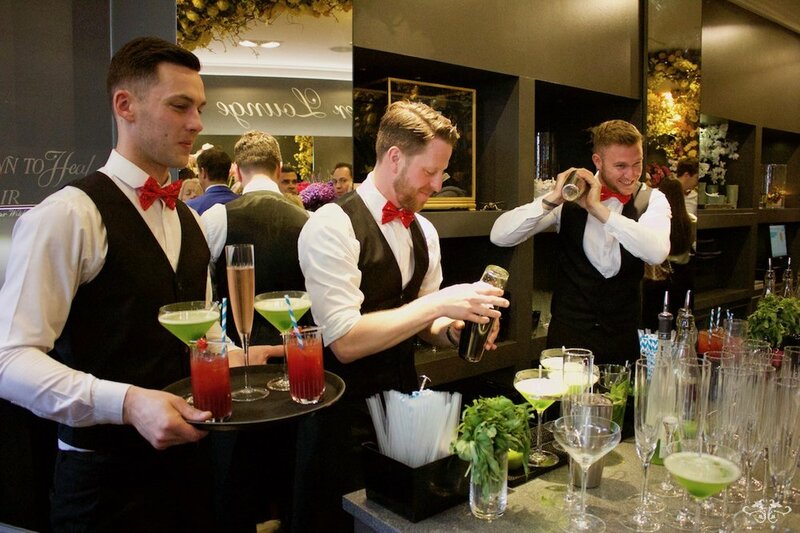 "Jungle Book" theme for Grace Belgravia with exotic, tropical florals and foliages. 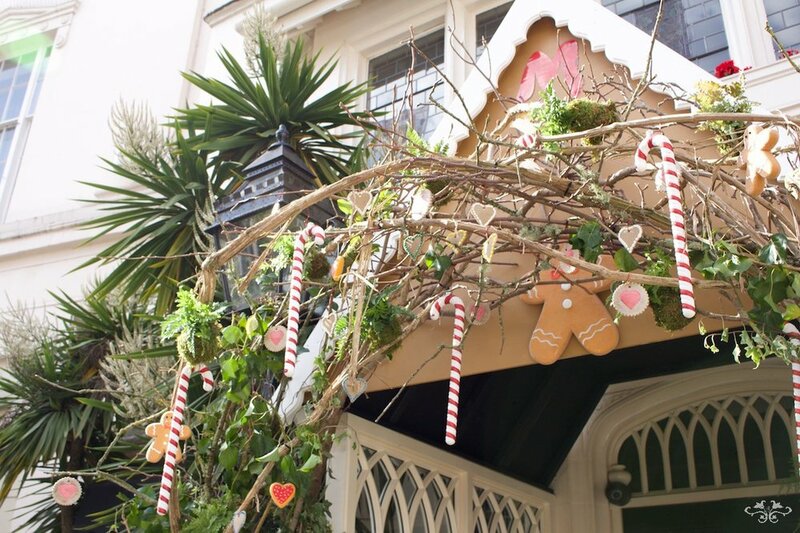 Mosimann's installation depicted the Gingerbread House of "Hansel & Gretel"
For the Errol Douglas hair salon we portrayed the Children's Book "Rapunzel" with her golden hair. Over on Walton Street, we decorated the boutique of interior designer, Katharine Pooley, with Orchids, Gloriosa and tropical flowers inspired by the Chelsea In Bloom theme of "Floral Safari." 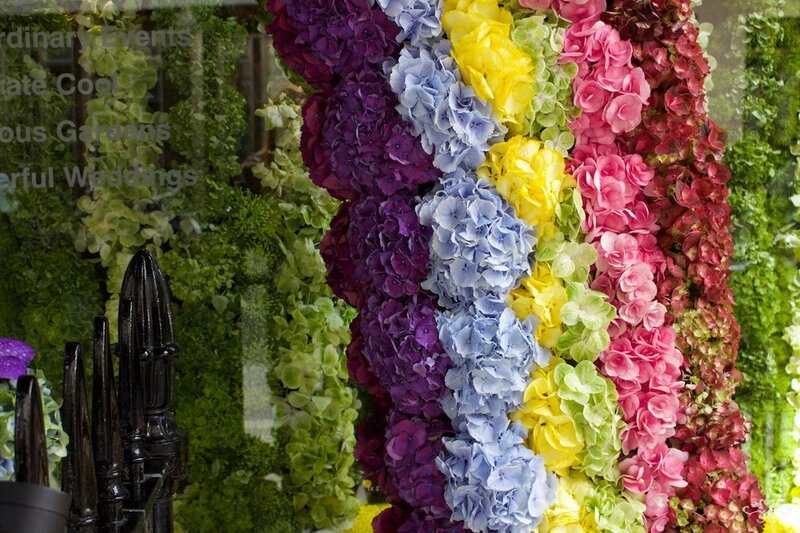 A "Floral Safari" theme for interior designer Katharine Pooley's boutique on Walton Street. 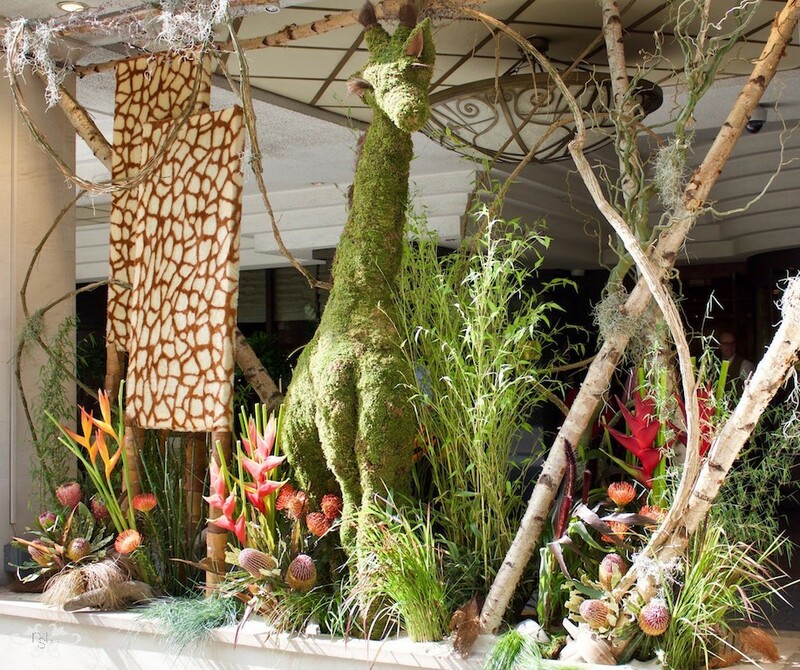 Last but not least, our installation for the Jumeirah Carlton Tower Hotel won a gold award in the Chelsea In Bloom competition with its "Floral Safari" theme. 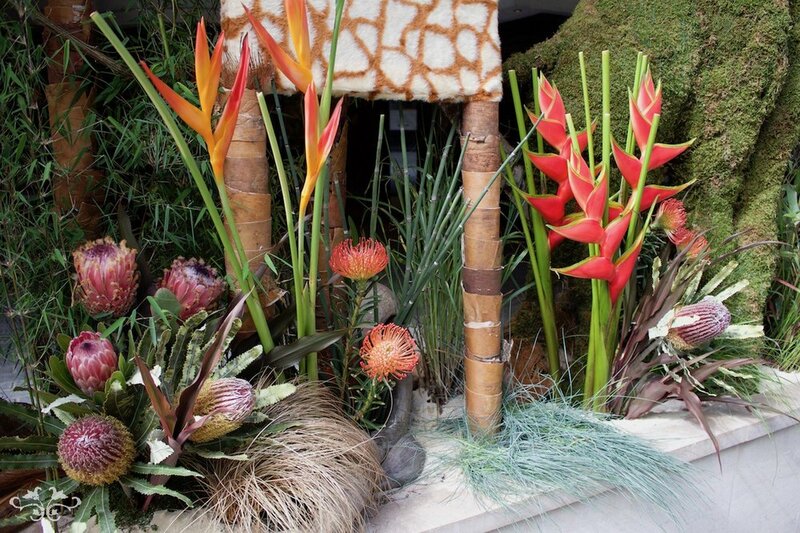 We created a three-sectioned safari scene including a giraffe, a lion and a snake, all made with moss and natural plant material surrounded by tropical flowers, foliages and vines. As you can see, it was a busy week! But well rewarded and we enjoyed every minute of it as this kind of creativity and freedom for a floral designer is exhilarating. And now, as you may have heard, we are busy preparing our new concession at Harrods, so no time to relax! We're hiring a whole new team of florists so if you're interested in an exciting career opportunity with our amazing team, see our Careers page and please get in touch. 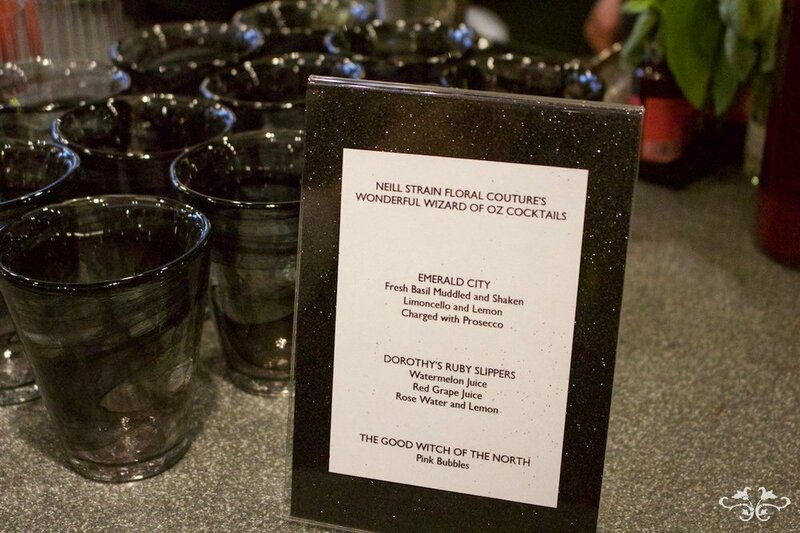 The Neill Strain Floral Couture team at the Belgravia In Bloom launch party.